A man was airlifted from a Snowdonia mountain after tumbling 200ft while scrambling. Rescuers said he was a very lucky man whose injuries could have been much worse if he hadn’t been wearing a helmet. Ogwen Valley Mountain Rescue Organisation was alerted shortly after 2pm on Saturday when police received a 999 call. The team said an experienced mountaineer with a medical background reported his son, in his early 20s, had fallen down the Upper Cliff of Glyder Fawr, tumbling down the steep grass and scree below the crag. 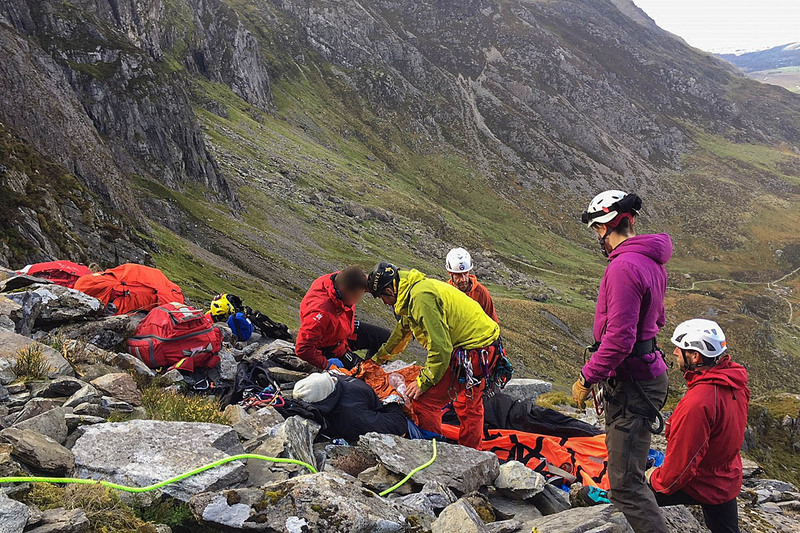 Chris Lloyd of the Ogwen Valley team said: “Amazingly, the young man had survived the fall, was conscious but had received facial injuries and was in great pain all over. The team leader immediately requested the assistance of the Caernarfon Coastguard helicopter while two members headed up on foot. Mr Lloyd said: “The helicopter was soon on scene and was able to lower the winchman. The helicopter flew across the valley to Oggi Base to collect four mountain rescue team members with technical rope rescue kit as it was thought that the casualty might have to be lowered to a better winching site. “After treatment on the hillside the casualty was flown to hospital in Bangor. The father made his way off the hill with team members and drove to hospital. This is what MRT are for not looking for folks without torch map or if you look at the weekend folks in trouble on a scottish mountain in snow wearing shorts. Concur with yam yam, my friend was airlifted from Tryfan south summit Easter 2017 following a nasty tumble and rupturing his quad. Qualified mountain leader but just shows accidents do happen. I'll prepared lost in fog is no accident!!!!! Re other comments: Ah the deserving and undeserving.